The Domino Pop-Up returns for the holiday season. The Domino Pop-up shop will be open the entire week leading up to Christmas, so stop by to take of your last-minute gift-buying And all Home Depot products are now 25 percent off! 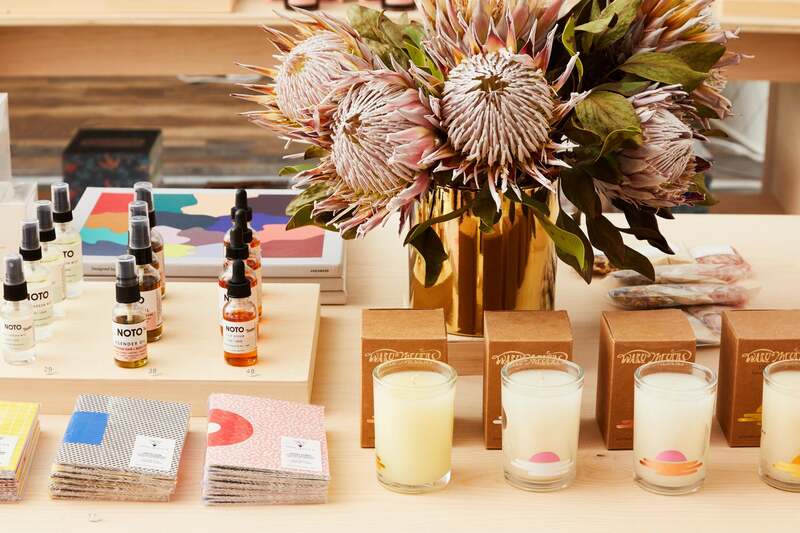 ‘Tis the season for shopping: The Domino Pop-Up shop is back, just in time for the holidays. In partnership with Home Depot, we’ll be setting up shop at 44 Mercer Street in Soho for four weekends this December. But this is more than just a place to shop: We created an immersive experience using products, materials, and furniture from Home Depot, complete with a fully functioning kitchen, as well as a living room and dining space. Throughout the shop, visitors will find a curated selection of Home Depot products for sale, along with an assortment of Domino merchandise perfect for holiday gifting. And since the holiday season is all about giving back, all proceeds from pop-up sales will benefit Habitat for Humanity. The pop-up will be open Friday through Sunday, running December 1 until December 17. And for those last-minute shoppers, we’ll also be open the full week leading up until December 24. While you shop, you can enjoy fresh baked cookies from the kitchen. Patrick Janelle and Spring Street Social Society will bring their expertise in hosting “Parlor Parties” to the Domino Holiday Home. This two-night event will invite guests to learn reimagined hosting ideas—from beverages to décor and even tips for creating your own holiday card. Cynthia Rowley will share in-the-kitchen party hacks around simple holiday recipes for a dinner party when you’re short on time. Our baking expert will help us modernize the tradition of holiday cookie decorating through bright colors and unexpected graphic patterns, while sharing insider tips on how to create professionally decorated sweet treats. The pop-up is located at 44 Mercer Street in New York’s Soho neighborhood. Complimentary water is available thanks to our partners at Smartwater. Come by even if you just need a break from your holiday shopping. We’ll be playing our favorite holiday movies in the lounge all day long.